Author and daycare practitioner P.B. Jeffrey recently launched a Kickstarter campaign to raise funds to publish a children’s book, “The Flyers and The Crawlers,” as part of an anti-bullying education initiative for kids. Once her goal is met, Jeffrey intends to donate 200 copies of the book to daycare facilities, school libraries, and anti-bullying conventions across the country. Bullying is an issue that affects the African-American community, and is fast becoming a multi-cultural epidemic, both in person and online. Since bullying may begin as early as preschool, and because young children best learn from stories, books, and other educational media, a children’s book series about bullying is an effective tool for preventing the onset of bullying in the next generation. Jeffrey is trying to raise $4,000 by May 24. Donations of even $5 make a difference. To donate or learn more about the campaign, please go to http://kck.st/ZWYR8K. The business community donated $8 million dollars worth of police cruisers and ambulances to Detroit to improve emergency response times, said Mayor Bing on Monday. With the donation, the city of Detroit now has 23 new ambulances, allowing the city to replace its current fleet of ambulances which frequently break down. “This is not about downtown; this is not about Midtown; this is about the neighborhoods, so we can go out into these neighborhoods and let our people know that we support them, and we have not forgotten about them,” Bing said. Bing says this is an indication of how the city and business leaders are working together to fight crime in the city. “We believe these additional vehicles will enhance the visibility of the police and fire efforts in the city of Detroit, improve safety and security in our neighborhoods and have an immediate and lasting impact for everyone who lives, works and plays in our city,” said Roger Penske, founder and chairman of Penske Corp., the Bloomfield Hills-based transportation services firm. Pictures of the new vehicles shown at a press conference revealed that the cruisers added to the fleet were Dodge Chargers, Ford Tauruses and Chevrolet Caprices. 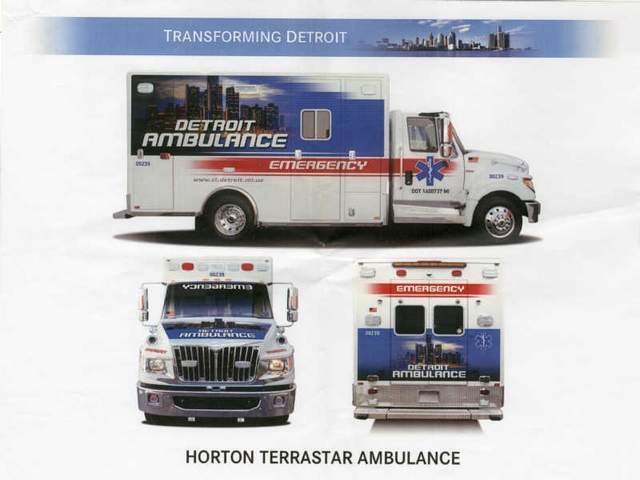 The EMS vehicles were Horton Terrastar ambulances. The new cruisers and ambulances are being outfitted with new equipment and should be ready to use within the next two to four months. BETHESDA, Md. (AP) — Michelle Obama marked the first day of spring with an early Easter celebration as she delivered holiday treats to military families and children. The first lady stopped by the Fisher House at Walter Reed National Military Medical Center in Bethesda, Md., on Wednesday as families decorated Easter cards. She asked the children if they were ready “to show me how to make some stuff.” Mrs. Obama, accompanied by first dog Bo, carried a basket full of cookies made by the White House pastry chefs in the shape of the Portuguese water dog. She also brought tickets for the families to attend the White House Egg Roll on April 1. The Fisher House program provides temporary housing for military families while their loved ones receive medical care. Billy Ray Harris’ story has inspired a windfall of donations. When Kansas City homeless man Billy Ray Harris returned Sarah Darling’s engagement ring last month after she accidentally dropped it in his cup, it could have been the end of the story. 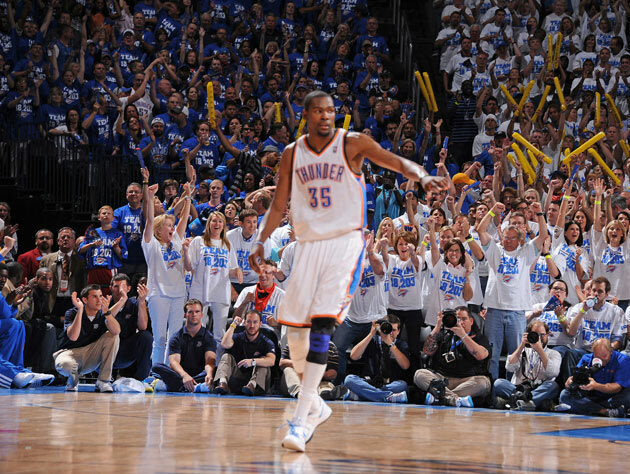 Instead, the experience has changed his life. In the weeks since his good deed went viral, Harris has gained national attention, and supporters have raised over $175,000 for him to find a new home. Something even more valuable happened: Harris is back in touch with his family, from whom he was estranged for the last 16 years. Amid the media storm around the engagement ring episode, Robin Harris, Billy Ray’s younger sister, happened to come across an article about her brother, and reached out to the local news station that first reported the story for help tracking him down. Last summer Howard University in Washington, D.C., mounted a major campaign to spruce up its residence halls. Walls were painted, new carpet installed, and bathroom fixtures renovated. In addition, the university replaced more than 2,000 mattresses and added new room and lounge furniture in the residence halls. As a result of these upgrades, Howard donated 184,000 pounds of bed frames, book cases, desks, chairs, dressers, and other furniture to schools in the United States and Central America. Working with the Institution Recycling Network and the international charity Food for the Poor, Howard packed up nearly 2,300 pieces of furniture for shipments to 12 different sites. Most of the furniture was shipped to schools in Guatemala, Nicaragua, and El Salvador. Keshia Knight Pulliam helped to raise more than $1 million for her alma mater, reports the YBF blog. The former “Cosby Show” co-star, who graduated in 2001 with a B.A. in Sociology and a concentration in film, teamed with Spelman College Board Members to host a Fall Fashion Presentation and fundraiser at SAKS in Atlanta. Among the attendees: Ne-Yo’s fiancee Monyetta Shaw, Spelman College President Dr. Beverly Tatum, actress LaTanya Richardson and Andrew Young’s wife Carolyn Young. The luncheon included a champagne toast and live auction. The money raised will go toward scholarships to benefit Spelman students who are unable to graduate due to financial hardship.